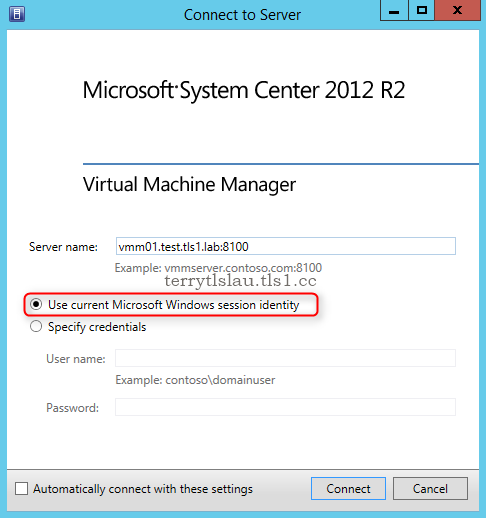 Administrators can add a physical host which is not installed Hyper-V server role on System Center Virtual Machine Manager. 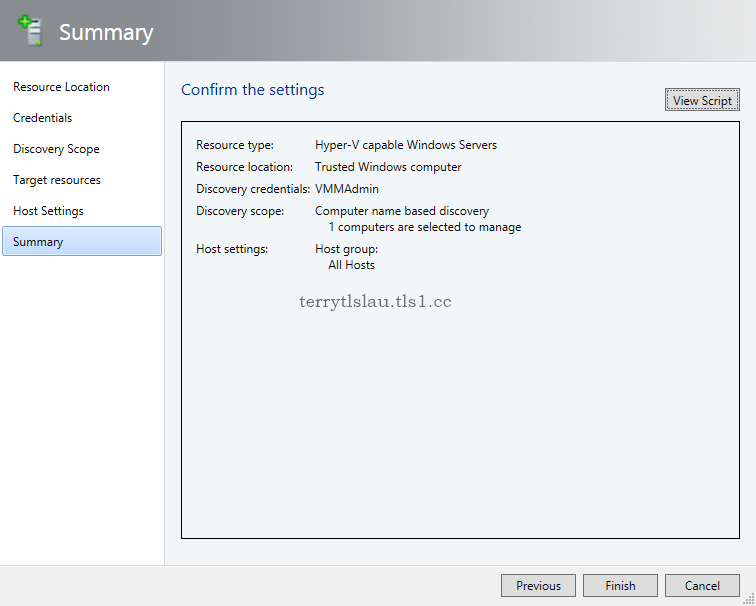 After adding the server, the server will be automatically configured to a server with Hyper-V server role. 1. On VMM01. log in as VMMAdmin. 2. Launch "Virtual Machine Manager Console". 3. 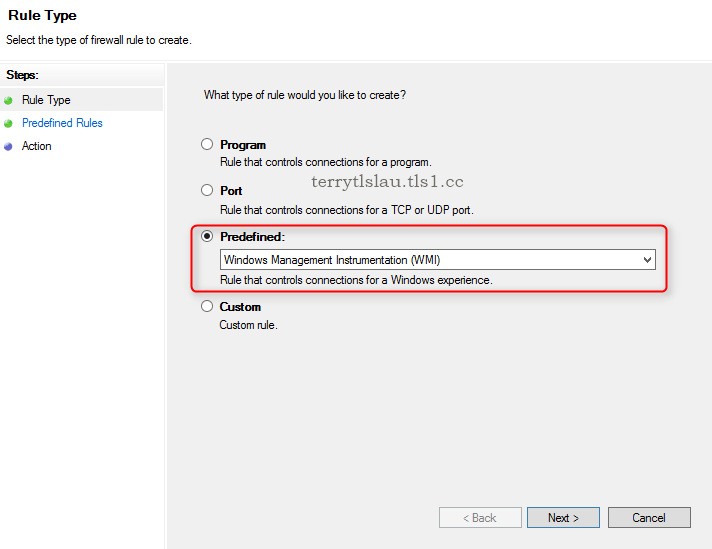 Log in with "Use current Microsoft Windows session identity" option. 4. 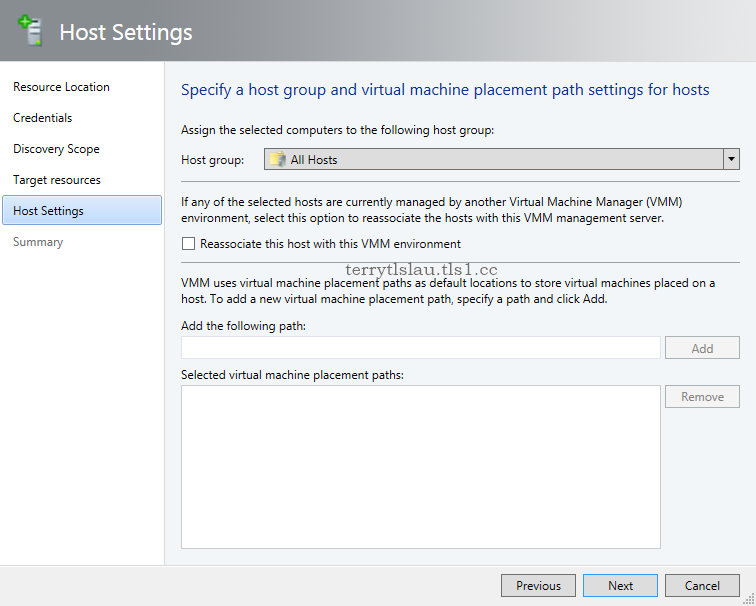 On "Virtual Machine Manager Console". select "VMs and Services". 5. 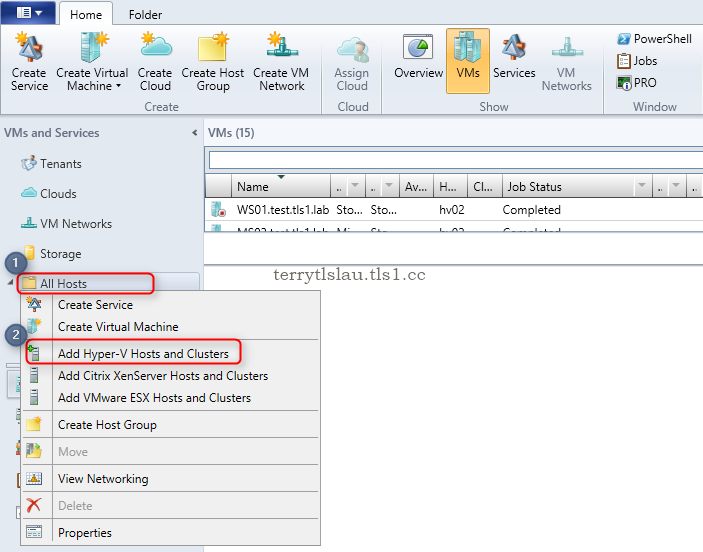 Right-click "All Hosts", select "Add Hyper-V Hosts and Clusters". 6. 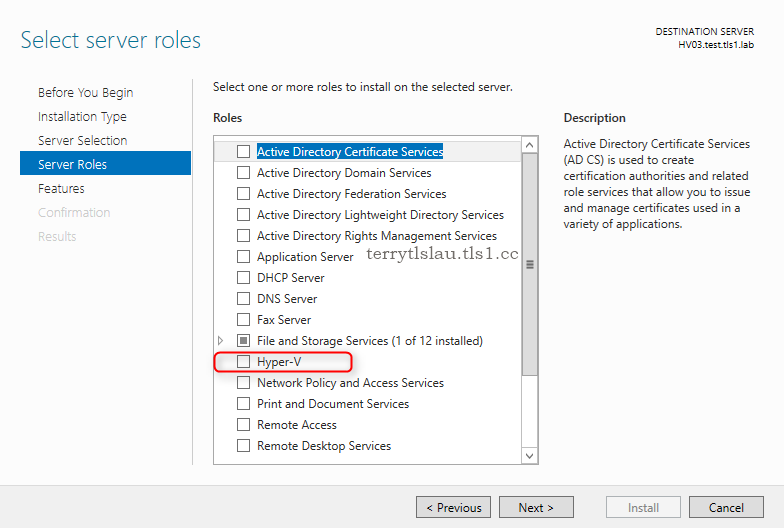 On "Resource Location" window, select "Windows Server computers in a trusted Active Directory domain". 8. 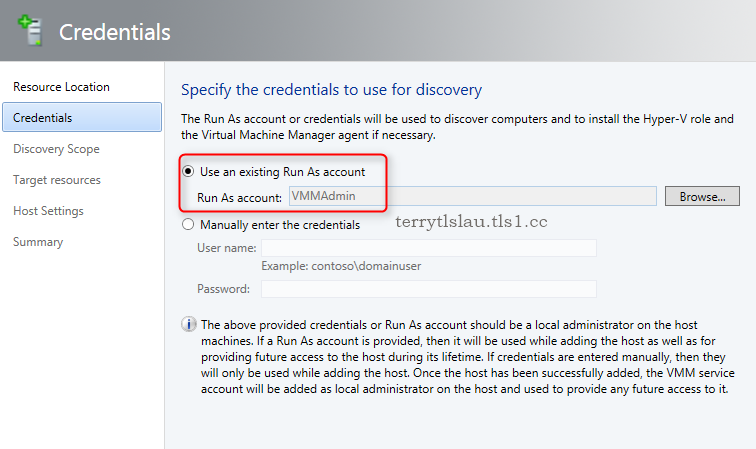 On "Credentials" window, select "Use an existing Run As account". 9. Click "Browse" to select "VMMAdmin". 11. 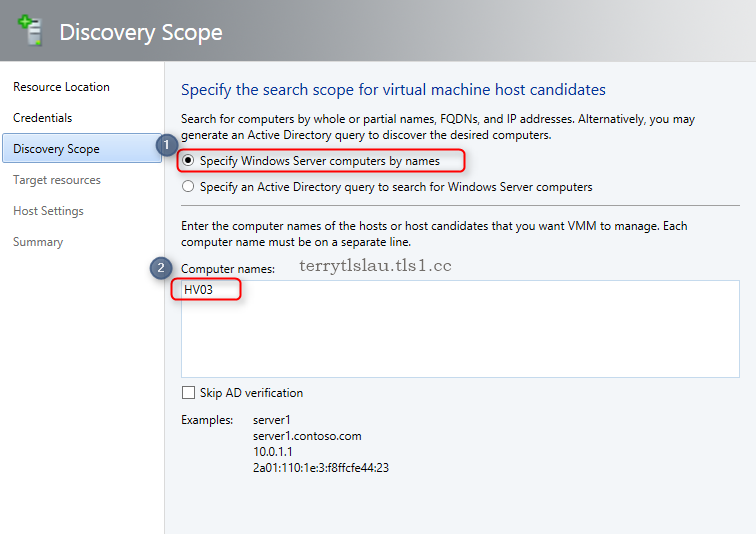 On "Discovery Scope" window, select "Specify Windows Server computers by names". 12. Next to "Computer names", enter "HV03". 14. On "Target resources" window, check "hv03.test.tls1.lab". 16. On "Virtual Machine Manager" pop up window, click "OK". 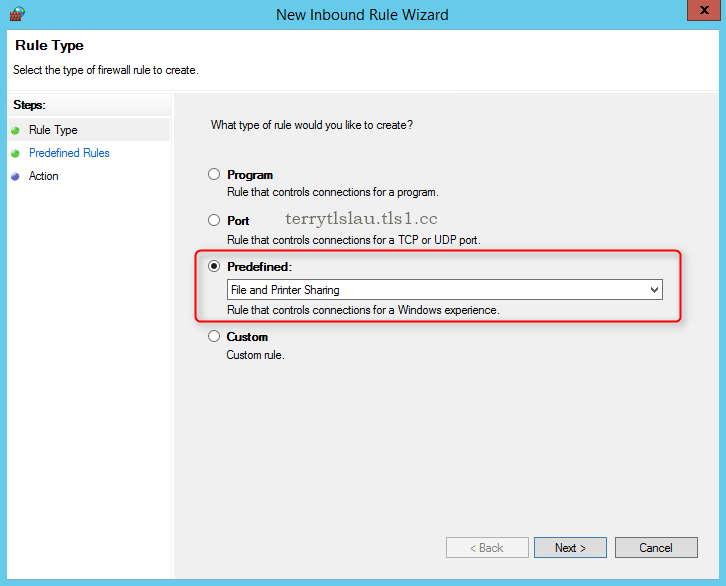 The Hyper-V role will be enabled on HV03. 17. On "Host Settings" window, click "Next". As a result, HV03 has been added into Virtual Machine Manager console. 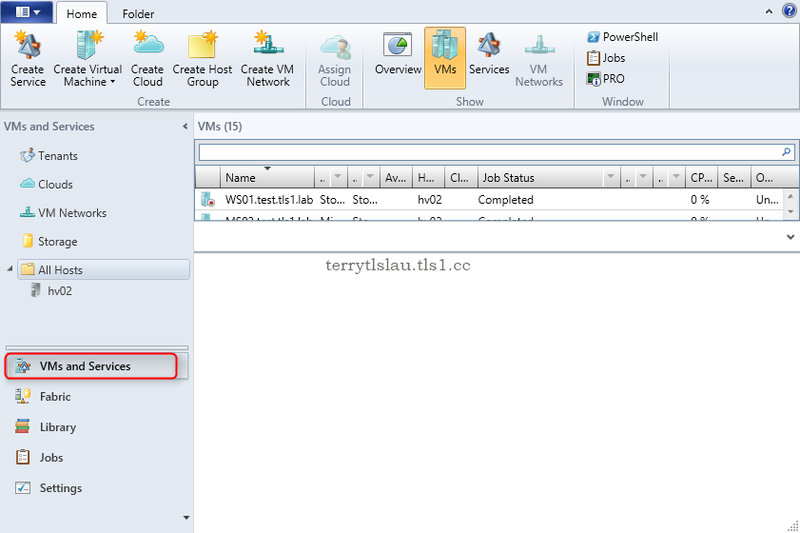 Remark: The Hyper-V server role was installed in HV03 but the management tools of Hyper-V hasn't been installed in HV03. 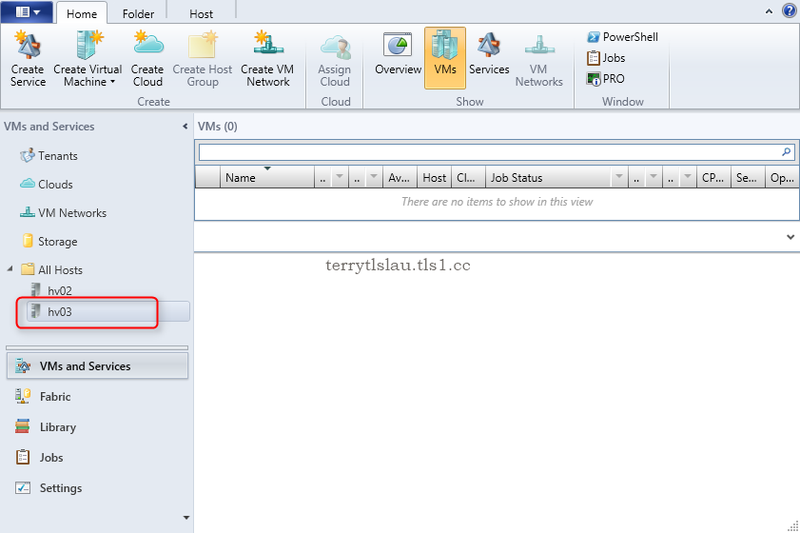 Administrators need to install it in HV03 through PowerShell or GUI.